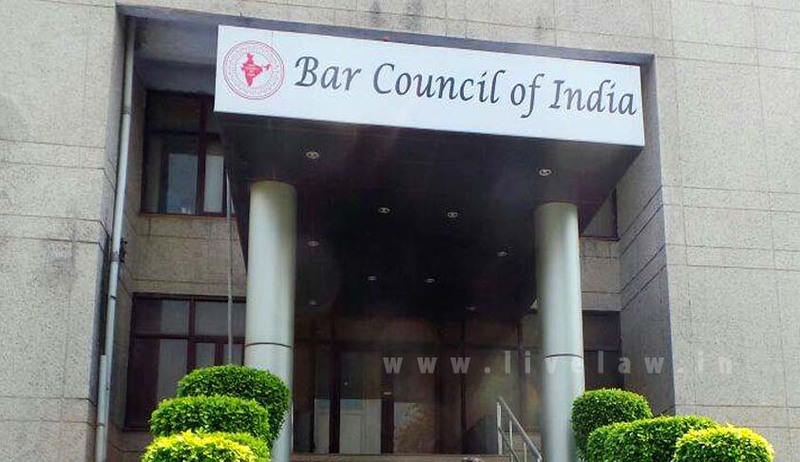 The Bar Council of India (BCI) has given a call for nation-wide protest on March 31 against the Law Commission of India’s suggestion to the Central Government for a drastic change in the Advocates Act 1961. Recently, the Law Commission has submitted its 266th report titled ‘The Advocates Act, 1961 (Regulation of Legal Profession)’ emphasized the need of reviewing Regulatory Mechanism and Regulatory bodies etc., and recommended comprehensive amendments in the Advocates Act. The Commission also submitted a draft of Advocate (Amendment) Bill, 2017. “Earlier this month, BCI had suggested certain mechanism for the lawyers resorting to strike but those BCI suggestions were ignored and completely sidelined by the commission,” Mishra said. “It was also decided on April 20, all elected representatives of state bar councils will meet in Delhi to discuss about the issue and future course of action,” Mish’s also said. The Law Commission in its report has referred to the Supreme Court in verdict in Mahipal Singh Rana vs. State of Uttar Pradesh (July,2016) in which the court had observed that there is an urgent need to review the provisions of the Advocates Act dealing with regulatory mechanism for the legal profession. On lawyers’ strike, the Commission has observed that unless there are compelling circumstances and the approval for a symbolic strike of one day is obtained from the Bar Council concerned, the advocates shall not resort to strike or abstention from the court work. On fake lawyers and verifications, the Commission has opined that lawyers were practicing either with the fake law degree or without any degree at all. The process of verification is not yet complete and the so-called bogus lawyers could be identified only by scrutiny. Law Commission recommends a specific rule making power for Bar Council of India to make rules for verification of certificates of Advocates and for periodical verification of antecedents, conduct, place of practice of Advocates; and to make a data based web-portal of all the advocates. In addition, the Commission has observed that the law colleges require transformation in infrastructure and resources. Library facilities in our law colleges need to be upgraded, for which resources have to be mobilised. Regarding the pre-enrollment and training is concerned, the Commission observed that without undergoing any training or facing subordinate courts, fresh graduates start appearing before the superior courts. The Commission recommended a specific clause in section 7(1) of the Advocates Act to provide for the rule making power of the Bar Council of India for pre-enrolment training and apprenticeship before the induction of a person as an advocate. On practice by foreign lawyers, the Commission considers it necessary to have enabling provisions in the Advocates Act which will enable the Bar Council of India to frame rules to recognise and register foreign law firms and lawyers in India, as and when a decision is taken in this regard, particularly in view of the reciprocity provisions. Besides, the Commission said that neither the Advocates Act nor the Bar Council of India Rules, defines professional misconduct. The Commission considered this aspect and provided the definition of “Professional Misconduct” in the Amendment Bill recommended by it.